swissnex Brazil keeps enhancing and extending the Alumni network. 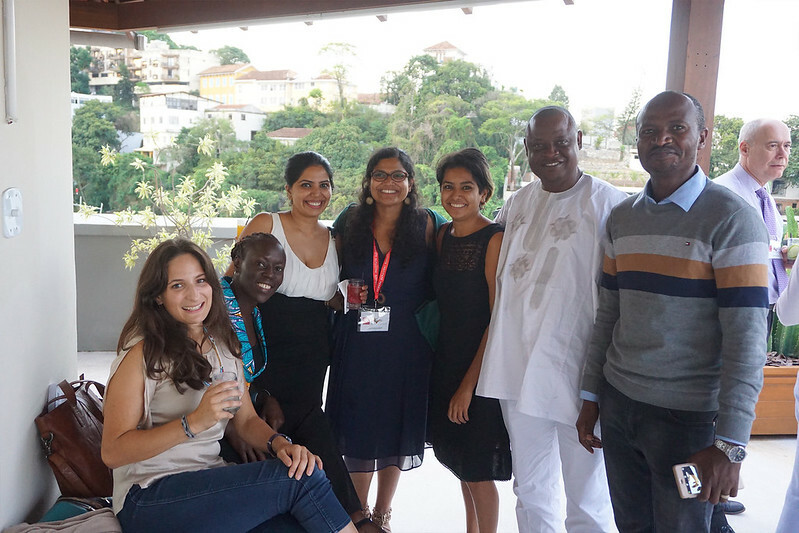 We gladly hosted the Inauguration of the Graduate Institute’s (IHEID) Brazilian Alumni Chapter on our terrace in Rio de Janeiro! Gilles Carbonnier, Professor and recently elected Vice-President of the International Red Cross, opened the IHEID Brazilian Alumni Chapter. During his stay in Rio de Janeiro, he gave a Doctoral Workshop at the BRICS Policy Center on Alternative Development Strategies for Sustainable Development: Lessons from Latin American Experiences. Other workshops count on a variety of international doctoral candidates & professors, such as Keith Krause who leads the Centre on Conflict, Development and Peacebuilding at IHEID. Furthermore, the ties between PUC-Rio and IHEID will be strengthened, benefitting and stimulating a rich academic exchange. Maria Conti, CEO of swissnex Brazil, Rudolf Wyss, the new Consul-General of Switzerland in Rio de Janeiro and Brazilian Ambassador & Chief of the MRE Office Eduardo Prisco Paraiso Ramos celebrated this unique occasion with fellow Swiss Alumni & Brazilian peers.